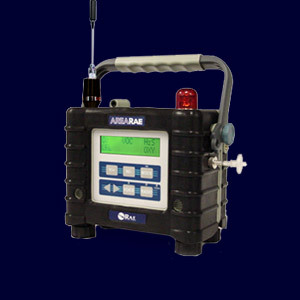 Maintenance Management for CBRNE and HazMat Responders. 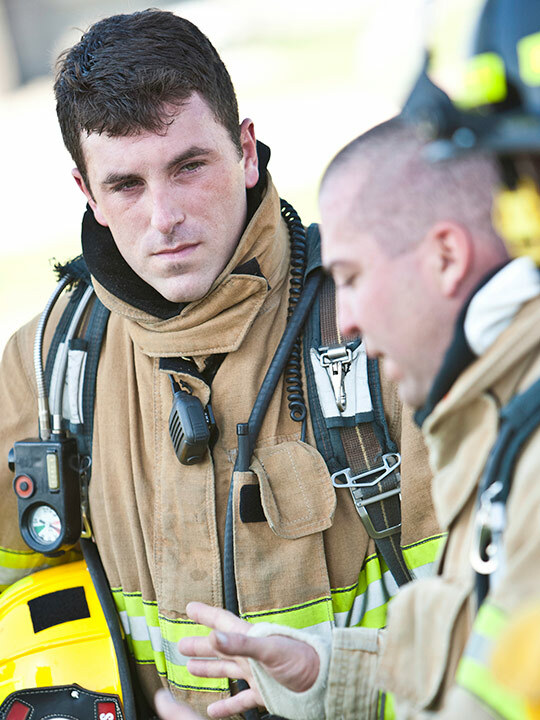 The common sense way to sustain equipment and responder readiness. 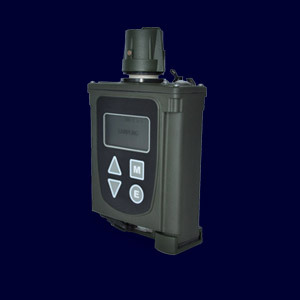 Our objective is to keep CBRNE equipment in your hands in 100% working order. That means less downtime waiting for support and repairs. Our resources and 24/7 expert support enable your team to keep their equipment up and running, while also polishing their skills. 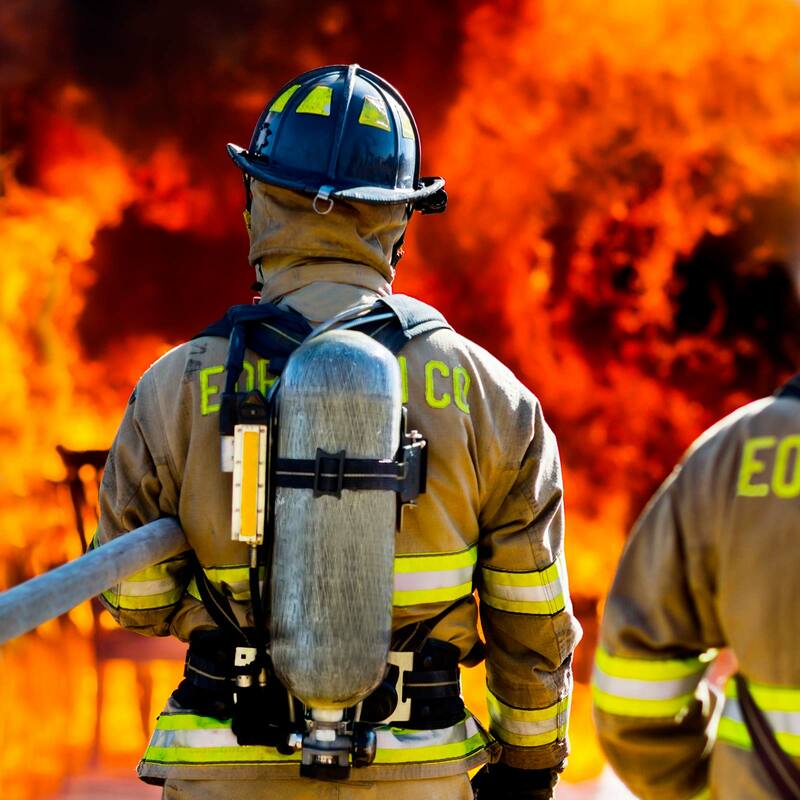 Get the visibility you need in order to know what equipment is ready for action, and the accountability you need to ensure it will remain ready. 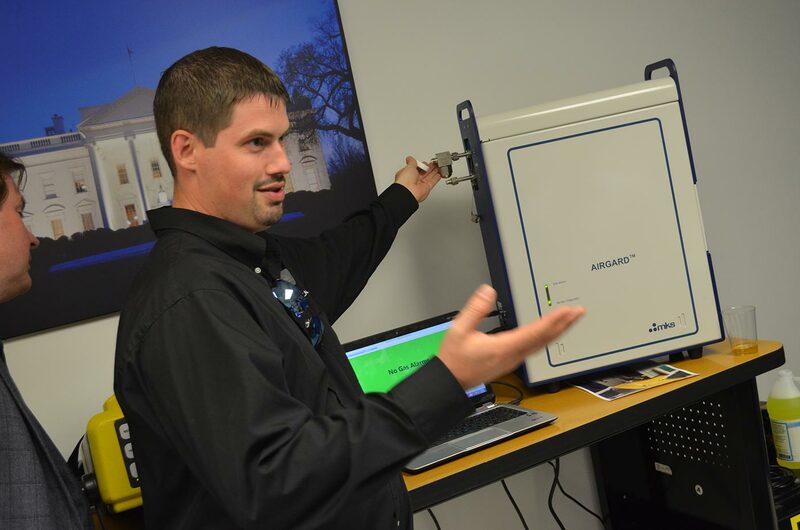 We hear it every day: Managing maintenance and repair of CBRNE and HazMat detectors is a hassle. Tired of slow responses to your technical support requests? Frustrated by slow turnaround times when you send equipment in for service? Struggling to manage equipment records, warranties and service contracts? 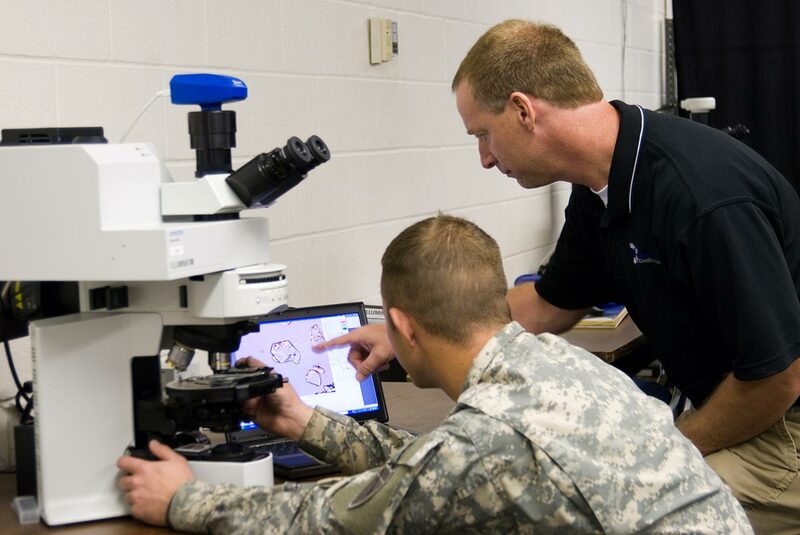 Concerned that your sustainment budget won’t stretch far enough to maintain true readiness? There is a better way. 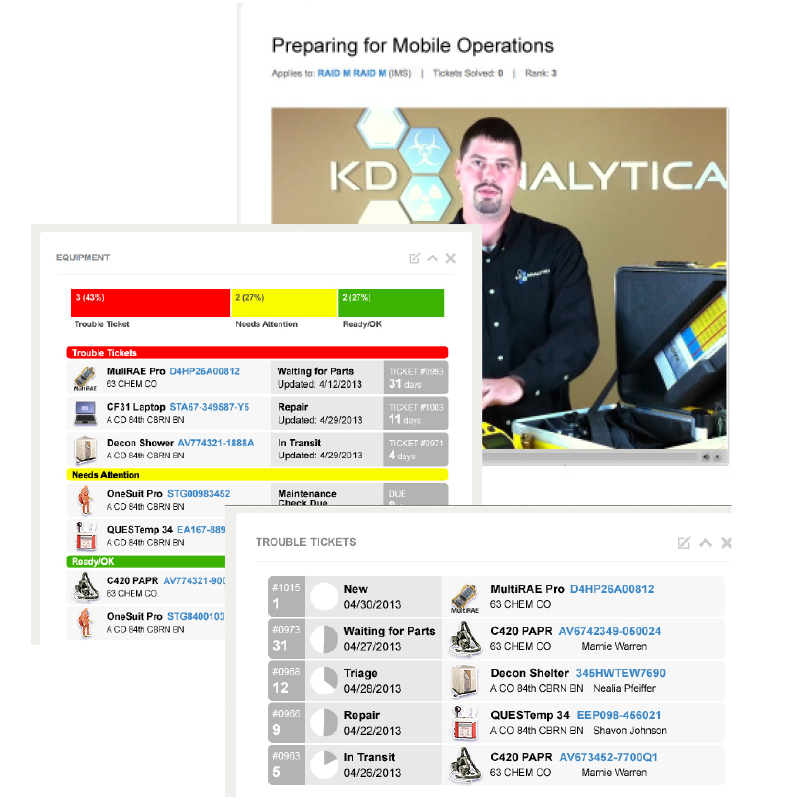 With KD One Call Support, sustaining the readiness of your equipment and responders just got a whole lot easier. One Call, Click, or Email. KD Analytical Maintenance Management is the one-stop solution that alleviates your headaches, saves you time and money, and improves your readiness. Is it really that simple? Yes. 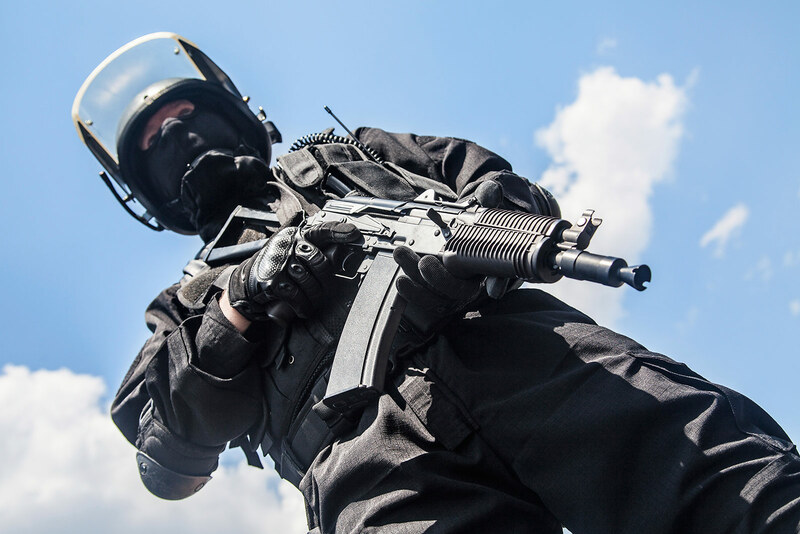 KD Analytical has spent that past 12 years building an expert team and unmatched tools to provide premium technical support and repair for every CBRNE and HazMat detection technology. 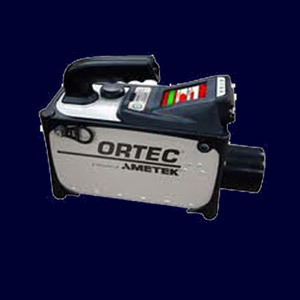 We are the one and only contact you need when you have a problem with your equipment. Learn more about One Call Support. 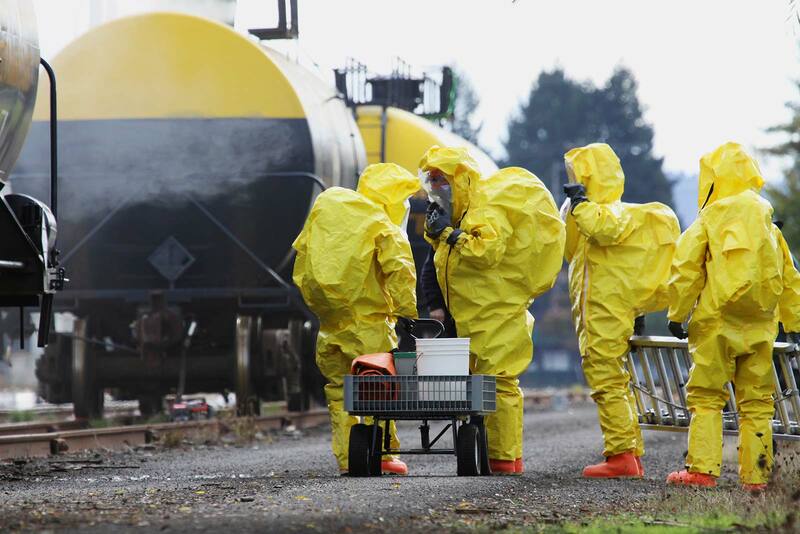 Receive news, tips, training and service announcements from the CBRNE/HazMat technical support experts. It’s not. In fact, we can save you time and money, and we’re not afraid to tell you how we do it. Here’s the thing: we’ve learned from experience that more than 60% of equipment problems can be fixed on the spot—by the operator—if they have the right technical support. If we can get you back up and running with a phone call, that reduces your downtime, decrease costs, and improves your readiness. Compare that to your typical technical support! 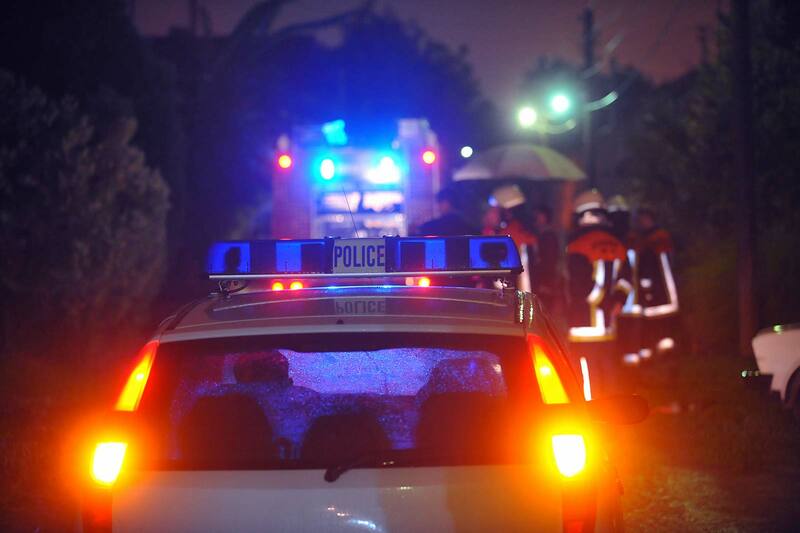 Our philosophy is simple: Keep equipment in the hands of the responder and in peak operating condition. We do it by resolving issues in the quickest, most cost-effective way possible. 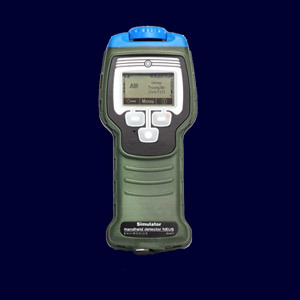 It begins with superior web-based training materials and an extensive knowledge base of detector FAQs, documentation and SOPS. We top it off with a world-class technical support team that is dedicated to helping your team keep their instruments up and running. When you do encounter an issue that you can’t solve yourself, KD Analytical will take it from there. 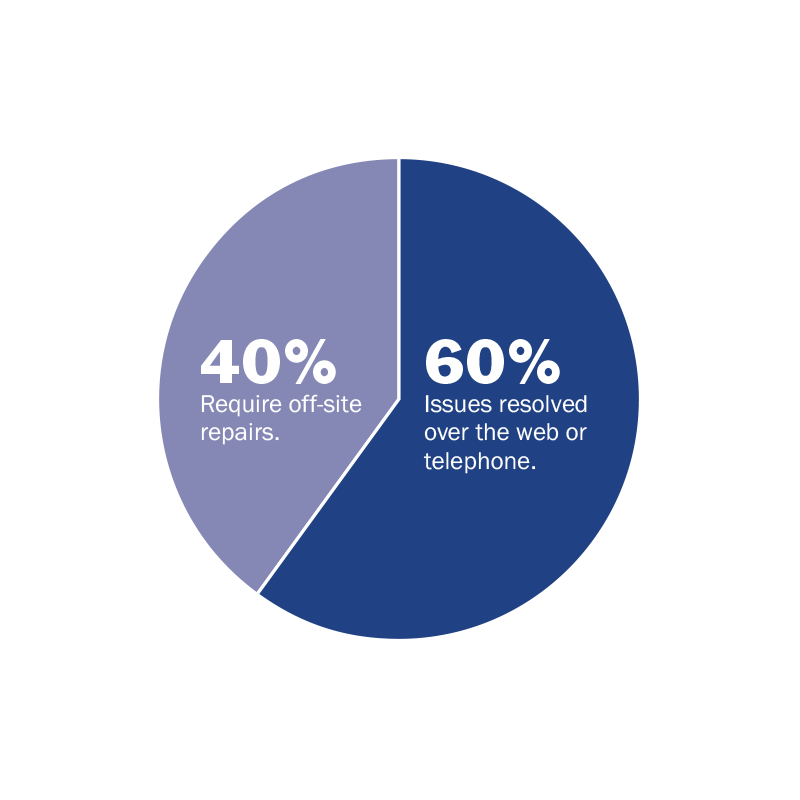 We’ll manage every aspect of the repair work, and we’ll do it better and faster. Need technical support or a repair right now? KD One Call Support is a complete, integrated sustainment solution for all of your equipment and responders. Technical support, maintenance, repair, and training. One call, click or email. Our technical support team is available by telephone and on the Web—24/7. Whether you have a simple question or need help with a procedure, you’ll always talk to a real person who knows your equipment. No matter how you contact us, your support request will be logged in ReadiTrak™, so you have a permanent record of both the problem and the resolution. Our tiered approach to evaluating equipment problems finds the least expensive option for any repair, saving you time and money. We know that the end user can resolve the majority of issues with guidance from our team. 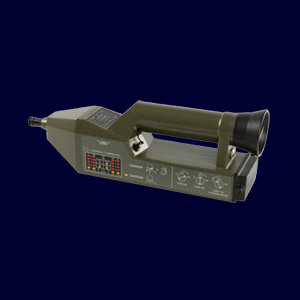 When we do need to do a hands-on repair in our shop, you can trust that it will be done right, by an expert, and come back to you 100% operational. Maintaining a well-trained team is a real challenge with staff turnover and budgets stretched. You need training that is customizable, flexible and cost-effective. 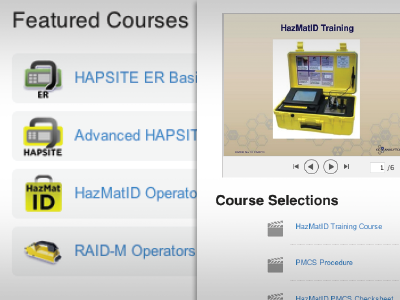 We can tailor training to cover your specific equipment set and deliver it anywhere—even over the web. 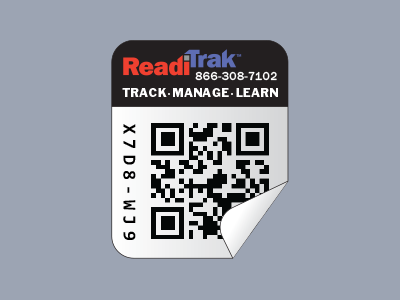 With ReadiTrak™, your team can refresh and test their skills with training modules available 24/7. 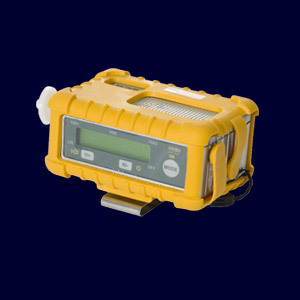 After more than a decade of solving technical issues for responders, we have it down to a science. 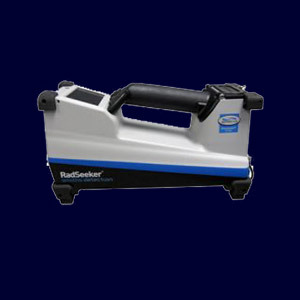 When it came to managing CBRNE and HazMat equipment maintenance, we needed something awesome, so we built ReadiTrak™. There’s nothing else like it. 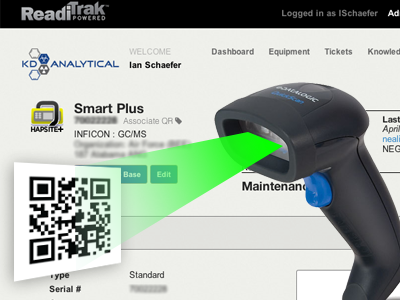 ReadiTrak™ is a Web-based instrument maintenance manager that helps track and support all of your equipment in one easy-to-use interface. It’s your go-to place for technical support, repairs, and the information and training materials you need to keep equipment in peak operating condition. 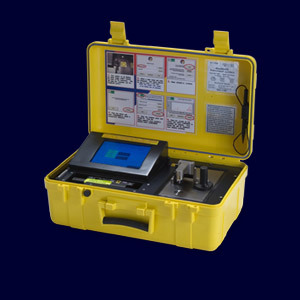 Detailed tracking of instrument status, maintenance and repair history. 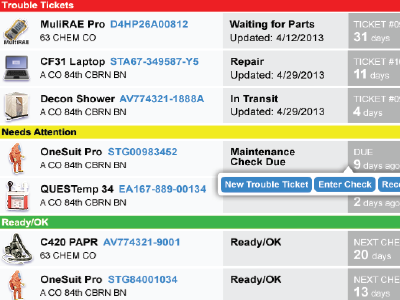 Built-in preventive maintenance alerts and procedures. Direct connection to KD technical support. 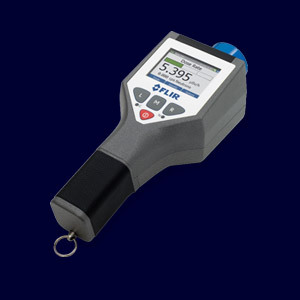 Extensive knowledge base of technical FAQs, manuals, SOPs, and training materials. 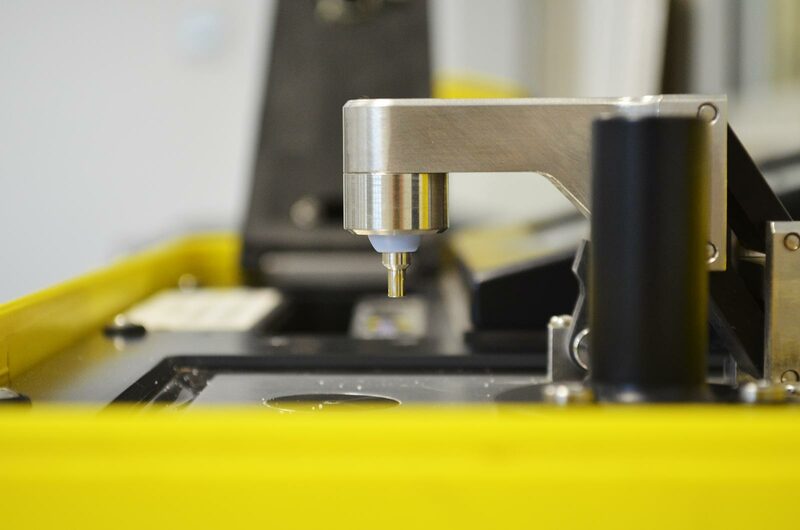 In order to provide accurate tracking and seamless management of your instruments, we begin by applying a small, unique ID tag to each instrument. 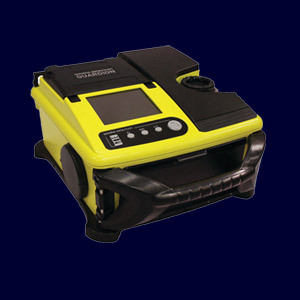 Each instrument is scanned and connected to ReadiTrak™, where we’ll add detailed information about the equipment including status, location, and assigned personnel. 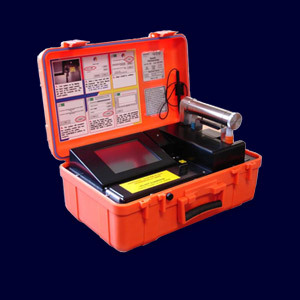 We’ll perform standard maintenance checks and set schedules and procedures, providing a great training opportunity while establishing a clear picture of your equipment in ReadiTrak™. 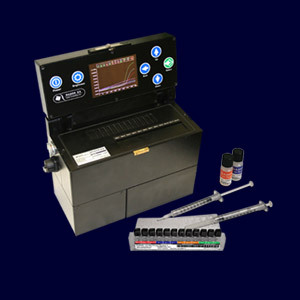 Get a hands-on demonstration of how your team can use ReadiTrak™ to manange equipment maintenance and find quick answers to your questions in the built-in Knowledge Base. Achieve a new level of readiness. Tell us a bit about your needs, for example, the number and types of equipment you manage.